Valuation refers to the process of determining the present valueNet Present Value (NPV)Net Present Value (NPV) is the value of all future cash flows (positive and negative) over the entire life of an investment discounted to the present. NPV analysis is a form of intrinsic valuation and is used extensively across finance and accounting for determining the value of a business, investment security, of a company or an asset. It can be done using a number of techniques. Analysts that want to place value on a company normally look at the managementCorporate StructureCorporate structure refers to the organization of different departments or business units within a company. Depending on a company’s goals and the industry which it operates in, corporate structure can differ significantly between companies. Each of the departments usually performs a specialized function of the business, the prospective future earnings, the market value of the company’s assets, and its capital structureCapital StructureCapital Structure refers to the amount of debt and/or equity employed by a firm to fund its operations and finance its assets. The structure is typically expressed as a debt-to-equity or debt-to-capital ratio. Debt and equity capital are used to fund a business’ operations, capital expenditures, acquisitions, composition. Valuation may also be used in determining a security’s fair value, which depends on the amount that a buyer is ready to pay a seller, with the assumption that both parties will enter the transaction. During the trade of a security on an exchange, sellers and buyers will dictate the market value of a bondBondsBonds are fixed-income securities that are issued by corporations and governments to raise capital. The issuer borrows capital from the bondholder and makes fixed payments to them at a fixed (or variable) interest rate for a specified period. What is an Indenture? An indenture is a binding contract between an issuer or stock. However, intrinsic valueIntrinsic ValueThe intrinsic value of a business (or any investment security) is the present value of all expected future cash flows, discounted at the appropriate discount rate. Unlike relative forms of valuation that look at comparable companies, intrinsic valuation looks only at the inherent value of a business on its own. is a concept that refers to a security’s perceived value on the basis of future earnings or other attributes of the entity that are not related to a security’s market value. Therefore, the work of analysts when doing valuation is to know if an asset or a company is undervalued or overvalued by the market. Valuations can be performed on assets or on liabilities such as company bondsBondsBonds are fixed-income securities that are issued by corporations and governments to raise capital. The issuer borrows capital from the bondholder and makes fixed payments to them at a fixed (or variable) interest rate for a specified period. What is an Indenture? An indenture is a binding contract between an issuer. They are required for a number of reasons including merger and acquisition transactions, capital budgeting, investment analysis, litigation, and financial reporting. CFI’s Business Valuation Modeling Course breaks down step-by-step the methods used by a financial analystWhat is a Financial Analyst Job for business valuation. Business valuation to a company is an important exercise since it can help in improving the company. Here are some of the reasons to perform a business valuation. During a court case such as an injury case, divorce, or where there is an issue with the value of the business, you may need to provide proof of your company’s worth so that in case of any damages, they are based on the actual worth of your businesses and not inflated figures estimated by a lawyer. In instances where there is a plan to sell a business, it is wise to come up with a base value for the company and then come up with a strategyStrategyCorporate and business strategy guides. Read all CFI articles and resources on business and corporate strategy, important concepts for financial analysts to incorporate in their financial modeling and analysis. First mover advantage, Porter's 5 Forces, SWOT, competitive advantage, bargaining power of suppliers to enhance the company’s profitabilityProfitability RatiosProfitability ratios are financial metrics used by analysts and investors to measure and evaluate the ability of a company to generate income (profit) relative to revenue, balance sheet assets, operating costs, and shareholders' equity during a specific period of time. They show how well a company utilizes its assets so as to increase its value as an exit strategy. Your business exit strategyExit StrategiesExit strategies are plans executed by business owners, investors, traders, or venture capitalists to exit their position in an asset at a certain point needs to start early enough before the exit, addressing both involuntary and voluntary transfers. A valuation with annual updates will keep the business ready for unexpected and expected sale. It will also ensure that you have correct information on the company fair market value and prevent capital loss due to lack of clarity or inaccuracies. Even though sellers and buyers usually have diverse opinions on the worth of the business, the real business value is what the buyers are willing to pay. A good business valuation will look at market conditions, potential income, and other similar concerns to ensure that the investment you are making is viable. It may be prudent to hire a business broker who can help you with the process. When you want to sell your business or company to a third party, you need to make certain that you get what it is worth. The asking price should be attractive to prospective purchasers, but you should not leave money on the table. The true value of assets may not be shown with a depreciation schedule, and if there has been no adjustment of the balance sheet for various possible changes, it may be risky. Having a current valuation of the business will give you good information that will help you make better business decisions. An objective valuation is usually needed when you need to negotiate with banks or any other potential investors for funding. Professional documentation of your company’s worth is usually required since it enhances your credibility to the lenders. For business owners, proper business valuation enables you to know the worth of your shares and be ready when you want to sell them. Just like during the sale of the business, you ought to ensure no money is left on the table and that you get good value from your share. A valuation is a process that involves defining the fair market valueMarket Value of DebtThe Market Value of Debt refers to the market price investors would be willing to buy a company's debt at, which differs from the book value on the balance sheet. A company’s debt isn't always publicly traded bonds, which have a specified market value. Companies own debt that can be classified as non-traded of an entity. Valuations may be required in many situations, including business reorganizations, shareholder disputes, employee stock or share option plans, mergers and acquisitionsMergers Acquisitions M&A ProcessThis guide takes you through all the steps in the M&A process. Learn how mergers and acquisitions and deals are completed. In this guide, we'll outline the acquisition process from start to finish, the various types of acquirers (strategic vs. financial buys), the importance of synergies, and transaction costs, and expropriations. Most professionals see valuations as a central basis of proper decision-making for organizations, both in the present and in the future. Even though it is not possible to predict the future, for businesses to survive, they need to prepare for uncertainty. Business valuationBusiness Valuation GlossaryThis business valuation glossary covers the most important concepts to know in valuing a company. 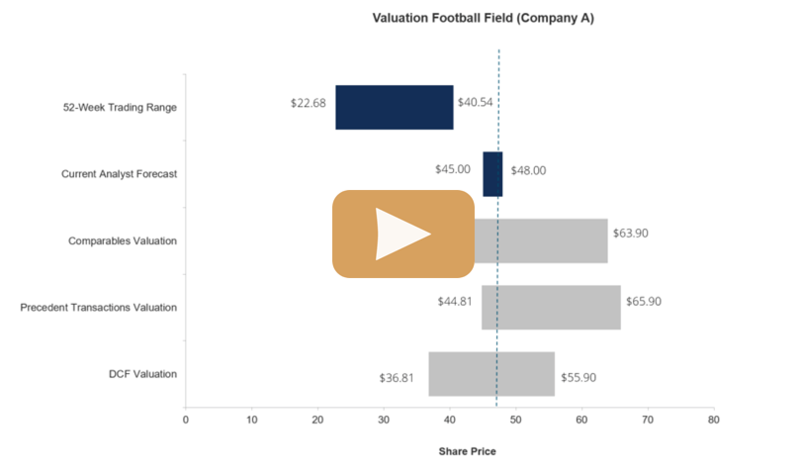 This guide is part of CFI's Business Valuation Modeling Course. List of terms includes Alpha, Beta, Capital Asset Pricing Model (CAPM), Comparable Company Analysis, Compounding, DCF, NOPAT, NPV, WACC is a critical financial analysis that needs to be done by a valuation expert who has appropriate qualifications. 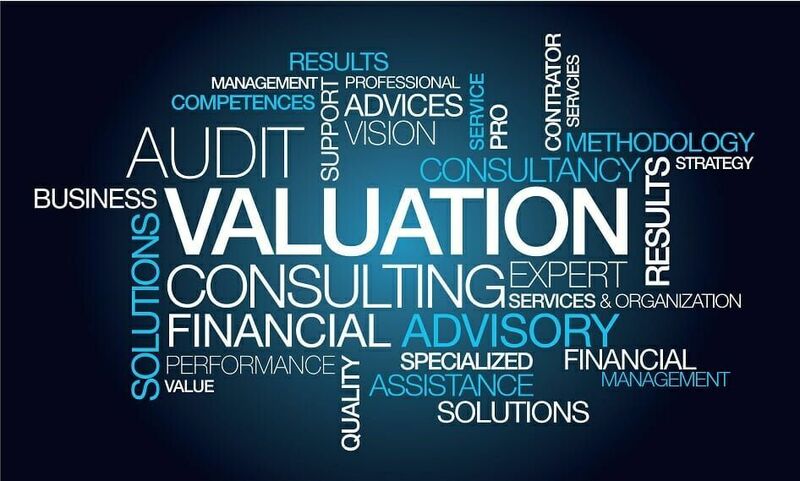 Business owners who go for low-cost valuations often miss out on the significant benefits brought by performing a full valuation analysis using certified valuation professionals. Business owners are able to negotiate a tactical sale of their entity, plan an exit strategy, acquire financing, and reduce the financial risk during litigation.